We have three different fits a Slim Fit, Regular Fit, or Classic Fit as it may affect what size you want. Slim fit: Womens shirts only, Hugs you body, soft lighter weight cotton. 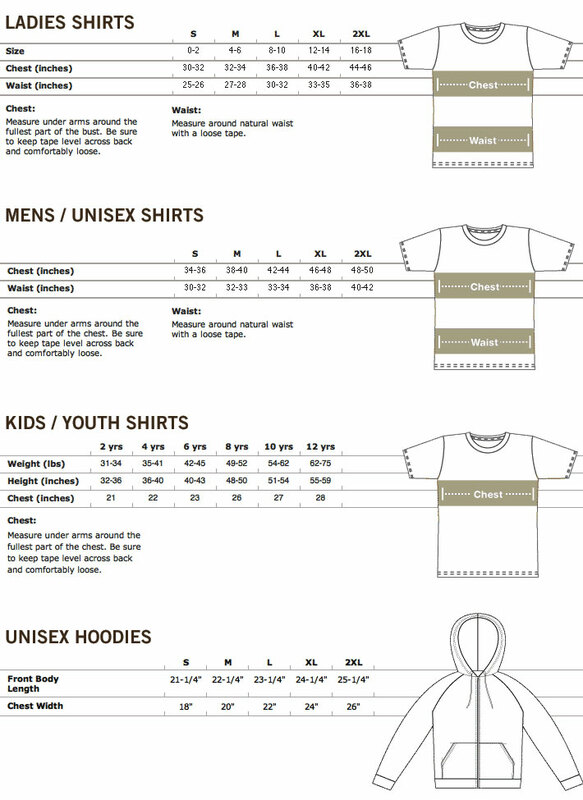 Classic fit: Is a little oversized more of heavier cotton 6.1oz Classic Beefy-T.
You may want to order a size up with Slim fit and a size up with Regular fit, if you want a looser fit, depending on how you'd like the item to fit. Please note, our products may shrink a bit after washing. Machine wash cold and tumble dry low to lessen shrinkage. If you ordered a size and aren't happy with the fit, feel free to return or exchange any items within 30 days.